Where are the jumpers on my DM-608? 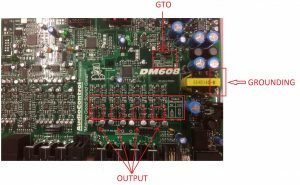 The GTO jumper enables or disables the signal sense feature on the main input (either High level or RCA level inputs). The output jumpers adjusts the max voltage output of the channel (either 5 or 10 volts). 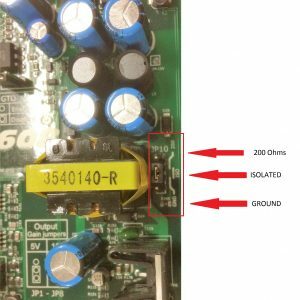 The grounding jumpers adjust how the unit is grounded. When shipped from the factory, it is set to the “isolated” position, which keeps the power and audio ground separate. Moving the jumper to “ground” adds the audio and power ground together. The 200 ohm position puts a 200 ohm resistance between the power and audio ground.